Hae-Sue Lee entered the Juilliard Pre-College program at age nine with Toby Appel as her mentor. Since age 13, she has been studying with Roberto Díaz and Hsin-Yun Huang at the Curtis Institute of Music. Ms. Lee recently performed in Richard Strauss’s Don Quixote as soloist with the Curtis Symphony Orchestra. 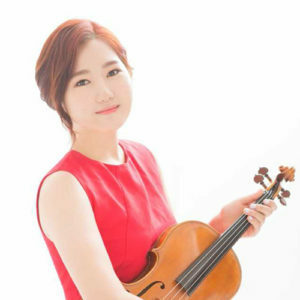 She has won top prizes at several competitions including the first prize at the 2015 Johansen International Competition and the Philadelphia Orchestra’s 2014 Albert M. Greenfield Competition, and has been a prizewinner at the Stulberg International Competition and the Lionel Tertis International Viola Competition. As part of the prize package she received at the Greenfield Competition, she was invited to perform with the Philadelphia Orchestra at the Kimmel Center. Ms. Lee has also performed with the Prince George’s Philharmonic Orchestra and Ensemble 212, and has been participant of many festivals including the Verbier Festival Academy, Banff Music Festival, Great Mountains Music Festival, and Summit Music Festival.